What are you looking for? Well I asked myself that recently and had as many answers as the number of days it ran across my mind. One day I was looking for window to get to the beach. One day I was looking for a way to squeeze in several hours of work into a few minutes. Another day I was looking for a town to visit on my father/daughter day next week. 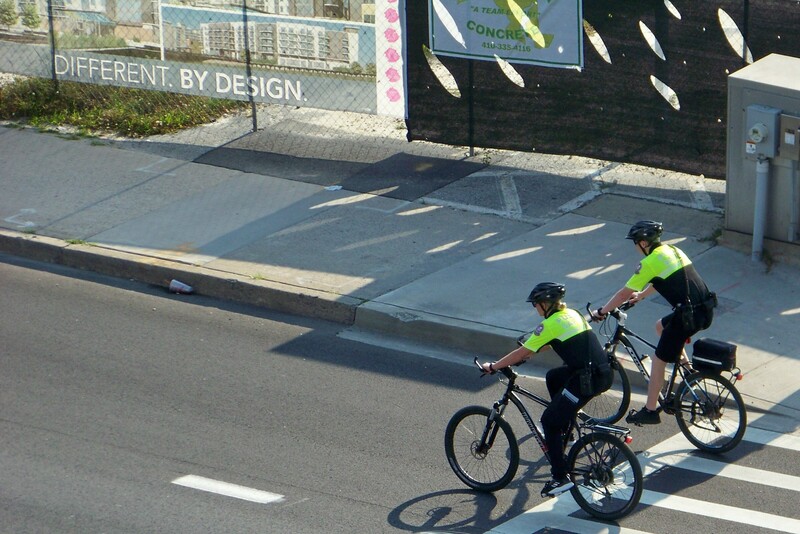 On patrol, in the bus lane. One afternoon I was looking for solutions for the worlds issues. Another afternoon I was looking for a place to take a friend to lunch. One evening I found myself looking for the day I didn’t have to commute to DC. One evening before bed I was wishing I could sleep in a hammock. Just now I was looking for a photo for today’s post. No matter what you are looking for, it means you are living. Consider being so sick that you just look forward to pain to just go away. Or not have your day consumed by doctors, treatments or in a hospital. As I think about it, those are the people I should be looking for to make their lives a bit easier. Think of how lucky we all are to be looking for life. I’m on a roll. That explains the growth of my mid section. Squeezing in some basketball between the rain this week. I used to worry about the number of words I wrote. Now I’m trying the right words.